A shower is one of the best ways you can refresh yourself, get clean, and enjoy a relaxing experience in the bathroom. Standard showers are fine, but often you’ll be in particular need of a walk-in shower. There are some key reasons why a walk in shower, which is streamlined to the floor of the bathroom, will be an advantage. Take a look at the following points to find out if you should be looking for a new walk in shower. If you or a member of your family has difficulties climbing in and out of a bath or stepping into a shower cubicle, you can resolve this issue by getting a walk-in shower. Obviously as the name suggests a walk-in shower is better when you can’t climb in or out, and it is therefore safer and more convenient. Even if you do not have mobility problems at the moment it can be a good investment to make for the future. A Walk in Shower is a good option when you need to configure your shower to a specific bathroom setup. Walk in showers are flexible in design. For example, you can get a walk in shower that is set for a level floor or a wet room, with a shower tray or without, with no doors or full doors. Whatever your bathroom needs, you can meet them with a walk in shower. A walk in shower is often more durable than other shower enclosures because it is more naturally aligned with the floor and does not have so many places for dirt to get stuck. The design is also a long-lasting favourite, and you won’t have to change it anytime soon; it’ll be stylish for many years to come. You have more space and it is easier to clean a walk in shower than a traditional shower cubicle. 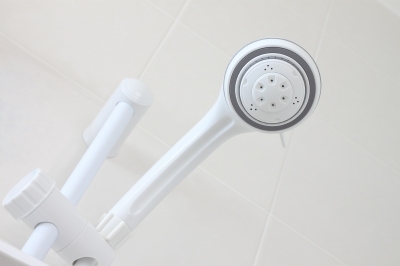 You therefore get rid of more dirt and limescale before it gets a chance to build up. This means your shower looks brighter and cleaner for longer. Today’s modern walk in showers have an elegant design and are very contemporary. The look is usually stylish and streamlined, which makes them the ideal addition to a modern bathroom. Plus, there are many different designs available in different metal and glass combinations, meaning that you will find something to fit your particular décor.